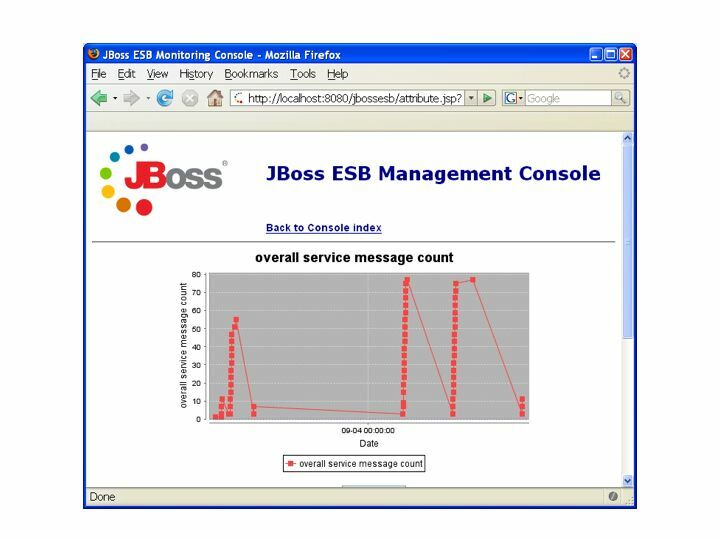 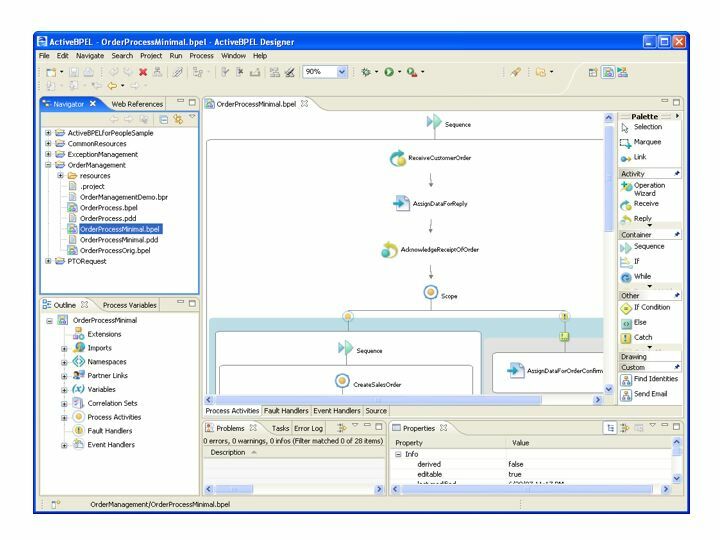 This image illustrates some of the capabilities of the Management Console within JBossESB. 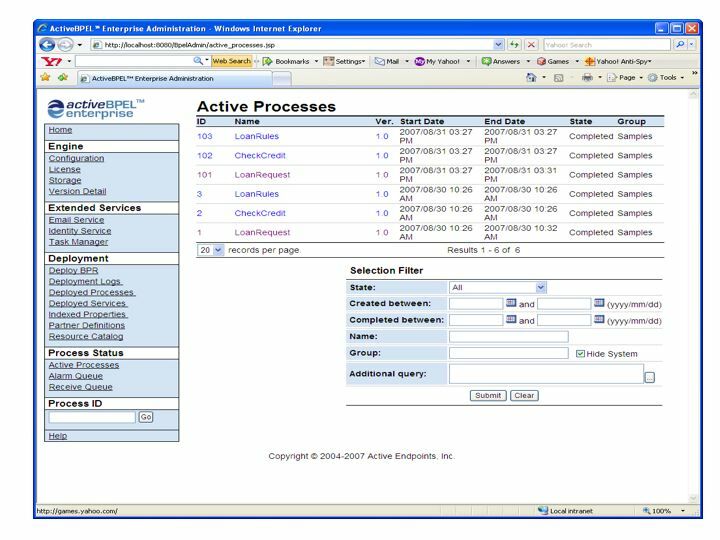 Here you can see the Service Activity Monitoring (SAM) support. 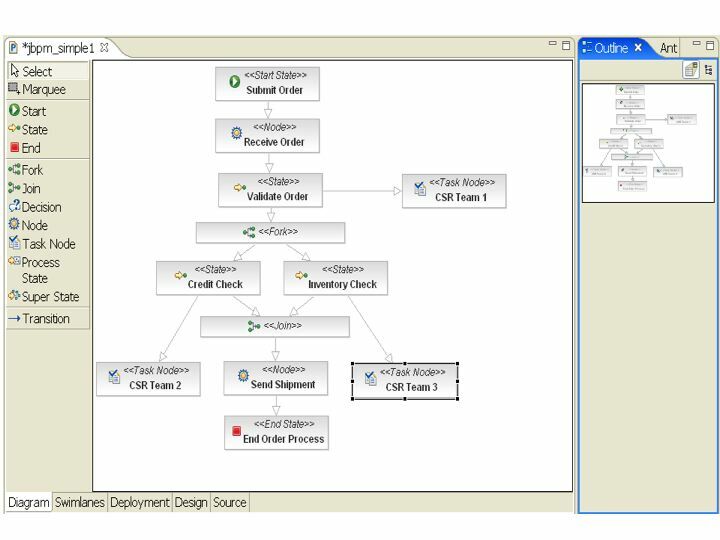 Here you can see the SOA Blueprint Modeller that is part of the WS-CDL work we have been doing with a partner. 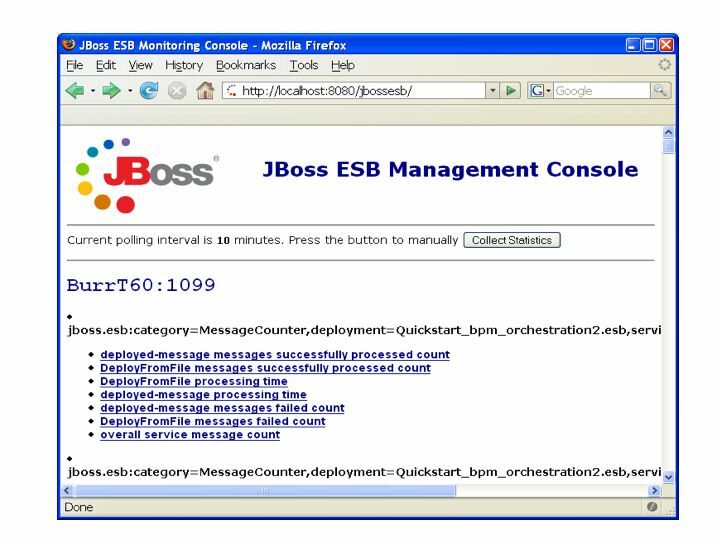 With the same toolset you can define the roles an relationships of the entities within your JBossESB deployment and use that to define your pre- and post- condition invariants for correctness checking.